TOMS RIVER — Need help with a flood insurance claim, contractor fraud or problem with the state’s Reconstruction, Rehabilitation, Elevation and Mitigation program? The Ocean County Long-Term Recovery Group has four workshops scheduled to help people deal with these issues. The long-term recovery group, an umbrella organization of about 80 nonprofit groups, is sponsoring the workshops in conjunction with Volunteer Lawyers for Justice and the Community Health Law Project. The workshops will be held from 6 to 8 p.m. on these dates: Aug. 17, Ocean County Library, 101 Washington St., Toms River; Aug. 22, St. Andrew Lutheran Church, 936 Baltic Ave., Atlantic City; Little Egg Community Center, 319 W. Calabreese Way, Little Egg Harbor, and Sept. 7, Middletown Library, 55 New Monmouth Road, Middletown. Residents interested in attending a workshop can call (732) 569-3484. 1. Problems with flood insurance payments. The long-term recovery group has been offering free legal advice for Sandy victims who feel that they were underpaid by their flood insurance. According to FEMA, 6,905 policy holders who reopened their flood claims have been paid more than $93.8 million through July 28. 2. Issues with RREM. The long-term recovery group has been assisting residents who are still struggling to complete projects through the state’s largest reconstruction program for Sandy homeowners. 3. Contractor fraud. The workshops will give advice to homeowners who have had issues with contractors. 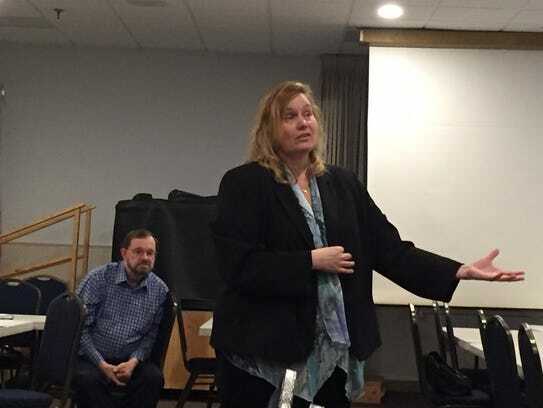 “We have been trying to assist homeowners who are ‘stuck’ in the recovery process for a variety of reasons,” said Sue Marticek, executive director of the long-term recovery group.